A capacity field lines up in the group one Rosehill Guineas with the kiwi’s likely to again play a major role. The New Zealand Derby has provided two of the last three Rosehill Guineas winners with a fitness edge a key pointer to their success. Last season we saw Gingernuts prevail on one of the heaviest tracks we've seen at Rosehill and there is little doubt his recent run over 1 1⁄2 m saw him far better placed than his rivals who for the majority were stepping up in trip from the Group 1 Randwick Guineas [1600m]. "Mother Nature" again looks to play her role this year with the current forecast expected to see the track in the soft to heavy range. Much has been made of the success of the horses coming out of the New Zealand Derby that we see five of the first six placegetters taking their place this year. The Kiwi contenders are Vin De Dance, Age Of Fire, Mongolianconqueror, Mission Hill, Endowment and The Lord Mayor, while Mongolian Marshall is the first emergency. Only narrowly beaten in the Group 2 Avondale Guineas [2100m], the Murray Baker trained Vin De Dance went on to win the New Zealand Derby, albeit narrowly. Relatively lightly raced, Vin De Dance has come a long way in a short period of time having begun his prep in January finishing fourth at Pukekohe over 7 f.
He hit the line well over the mile second before clearly relishing the step up in trip at his past two starts. We saw Vin De Dance in Australia during the Spring and while clearly no match for Aloisia and Cliff’s Edge in the Moonee Valley Vase, he has clearly gone to a new level this preparation. The drop back to 1 1⁄4 m should suit and he will have no concerns with the prospect of a heavy track having won his maiden on a Heavy 11 over 6 f.
NZ Derby runner up Mongolianconqueror will also relish the conditions and rates as the main danger along with last start Alister Clark Stakes winner Cliff’s Edge and Victoria Derby winner Ace High. Mission Hill began this campaign well with back to back wins but has not had the best of luck at his last two runs, especially in the NZ Derby last start where he covered plenty of extra ground. 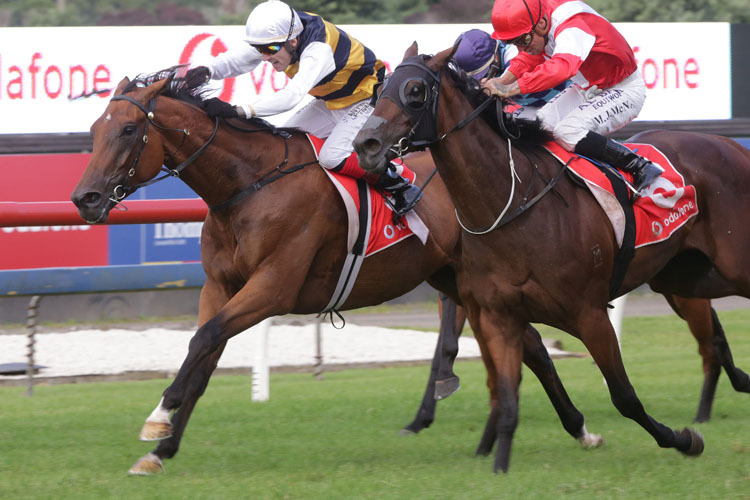 Looks well suited back to 1 1⁄4 m and is a must for multiple players as is the recent Waller acquisition The Lord Mayor who charged late in the NZ Derby to finish fourth.